…And that may sound moody if you’re into shimmering golden sands or bleach-white silica, but, in reality, it’s not. In fact, there’s something spellbinding about setting foot on black volcanic grain. 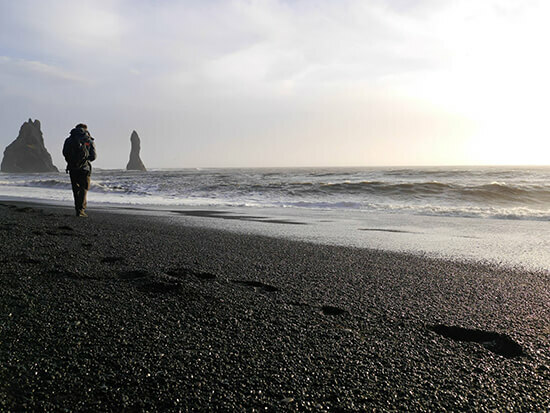 The best such beaches can be found on Iceland’s south coast, near the village of Vik and on the world-famous shore of Reynisfjara. Whether you visit in summer or winter, there is always some magical phenomenon to be witnessed in Iceland. 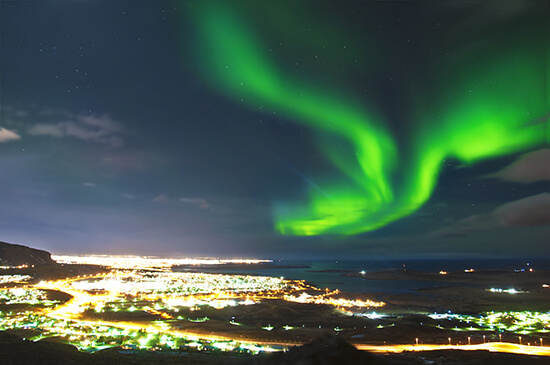 Between September and March, visitors can hope to spot the elusive aurora borealis as its twirling ribbons of emerald punctuate the inky blackness of the sky. Travelling between May and July? The midnight sun is just as impressive. After all, how often can you be out walking, in broad daylight, after 11pm? 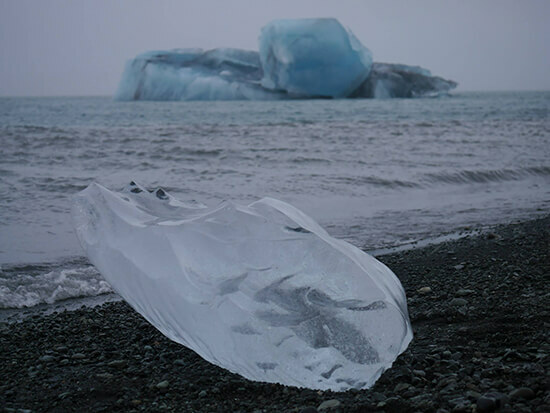 This probably isn't a surprise thanks to its frozen moniker, but Iceland is 11.1% glacier. It’s also home to Vatnajokull, the largest ice cap in Europe with an average thickness of a staggering 400m! If the weather conditions permit, you can even walk on this frozen sheet – with the help of a guide of course – or take a hike up to its tongue to see its calving ice blocks up close. One of my favourite glacier experiences though is visiting Jokulsarlon lagoon, a south-eastern glacial lake on the edge of Vatnajokull, where you can sit and watch icebergs the size of double-decker buses, and often bigger, drift by. First off, that’s sulphur, not egg you can smell. And second, while it may be offputting initially, you’ll quickly become accustomed to the odour, especially when you find out that it’s caused by the geothermal energy – i.e. water heated by the hot springs and volcanoes – that’s fuelling the whole island-nation. This scent makes Iceland one of the most environmentally-friendly countries to visit in the world, and that’s pretty impressive. It also means you can expect some great sights and experiences: we’re talking fountain geysers that shoot for the sky (like the Golden Circle’s Strokkur) and tranquil natural spas (like the Blue Lagoon) that will relax and warm you from head to toe. Now when we say Iceland and volcanoes, no doubt your mind will wander to the active ash cloud-producing peak that no one can pronounce properly. Well, while it’s amazing to see Eyjafjallajokull (it’s aya-f-yat-la-yo-kut, in case you wanted to give it a go), this is just one of the country’s many volcanoes. In fact, there are 130 to be precise – 30 of which are active. The most interesting one, though, is the dormant Thrihnukagigur. 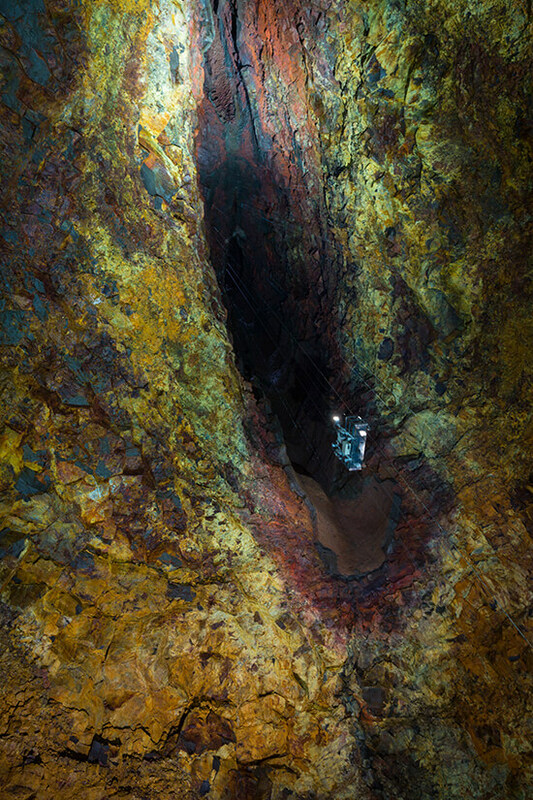 It may not have caused air travel chaos in 2011 but, visit in summer, and you can take a lift down to its core to admire a millennia-old trio of craters. We reckon that’s something you’ll definitely want to brag about when you get home. Particularly along the southern section of Iceland’s Ring Road, cascades abound. 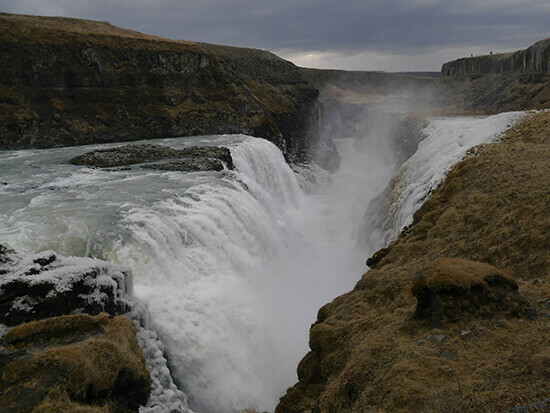 Really worth a visit is Gullfoss – a Golden Circle highlight and one of the largest volume waterfalls in Europe – the wall of water that is Skogafoss, the hidden Svartifoss and, perhaps best of all, Seljalandsfoss. 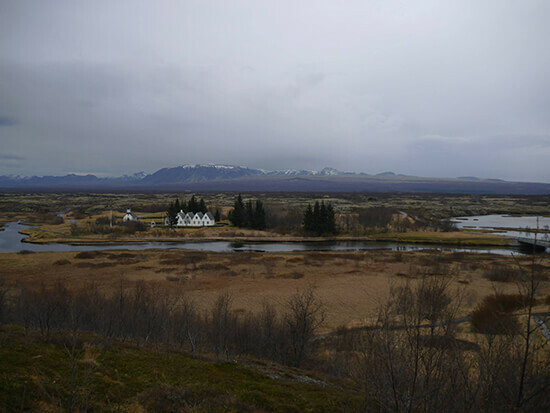 Here, you can step behind the torrent of water to gaze out through the curtain and into Iceland’s green and black (or snowy in Jan/Feb) landscapes. Only three hours from the UK, stopping in Iceland is the perfect excuse to get off the plane, stretch your legs, and take in a landscape that couldn’t be more different than what you’ll see in the USA. It feels alien, moon-like, and the culture and cuisine is the Polar opposite to that in the UK and North America – be prepared to sample fish jerky, smoked lamb and cod stew while celebrating Norse festivals. But that’s the beauty of it. And from there, it’s only five hours to the Big Apple. 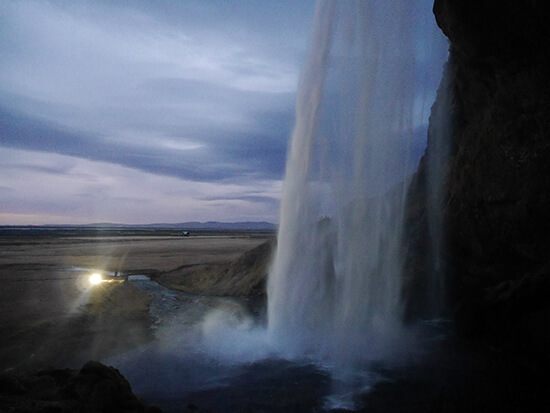 Want to stopover in Iceland on your way to the USA? Make an appointment with one of our Travel Experts today to chat about creating a tailor-made itinerary.